CONSTRUCTION work on Manchester’s new Ordsall Chord is now well underway. The project controversially severs the historic rail link into the original Liverpool & Manchester Railway Liverpool Road station (now home to the city’s Museum of Science & Industry). 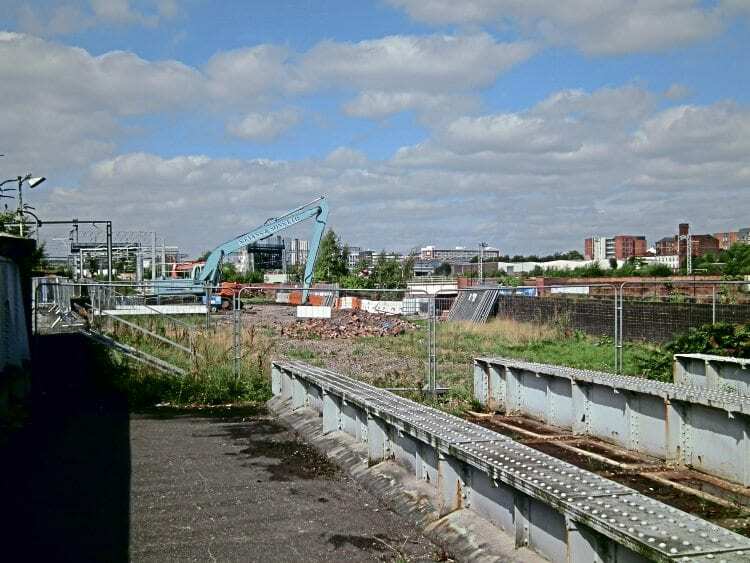 The view captured on September 1 shows the now vacated L&MR trackbed, with the bridge that formerly took the line over Water Street.